Nikki 15th July 2013 6th January 2017 No Comments on Summer has arrived! Well I have to say most of the time so far this ‘summer’ we have been lamenting the lack of decent weather and the abundance of rain that we had. But now it has completely changed. It’s been 28deg C (82 F) most of the last week, much hotter than we have been used to. We have had to spend most of the day inside as it is way too hot out in the sunshine, my shoulders will definitely agree with that, my body has two colours that it adopts: pale white or lobster red, and pretty much nothing in between. Trying to make the most of the nice weather though we have been getting outdoors earlier in the morning to enjoy a nice smoothie before the sun gets too hot. Some of our smoothies have been based off our ‘Breakfast Smoothie’ although we have also developed some new recipes which hopefully will get posted up here sometime soon. We have branched out more with soya milk, hazelnut milk and almond milk, and using rolled oats in the mixture to get a more substantial mix. 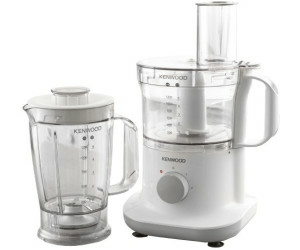 This is all helped rather much by our new kenwood food processor with a blender attachment. Definitely a favourite new toy. Houmous, falafels, red pepper dip, pesto and smoothies are just are a few of things we have made in it recently. I have also been rather enjoying a selection of different iced coffees during the day to keep cool. One of my favourites still has to be the Nutella Iced coffee which I discovered last year, but I have also made some more vanilla lattes.